Pesto’s not just for pasta! 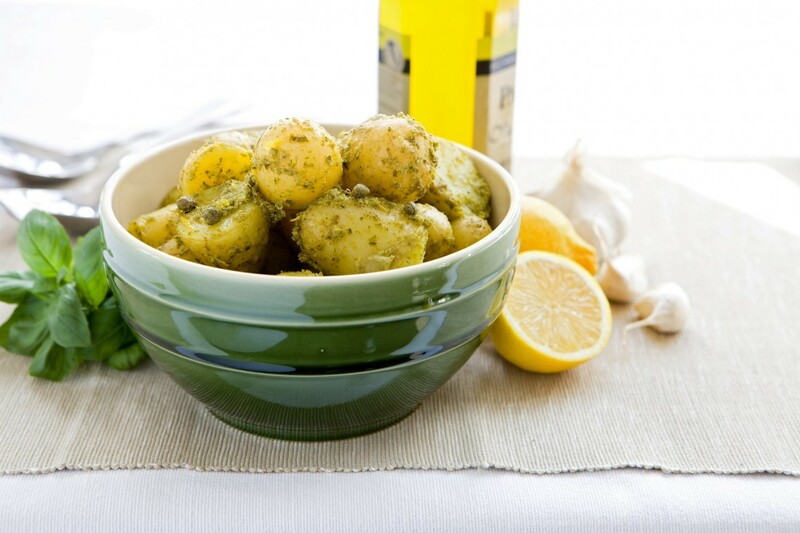 It’s perfect for adding a rich Italian flavour to potatoes. 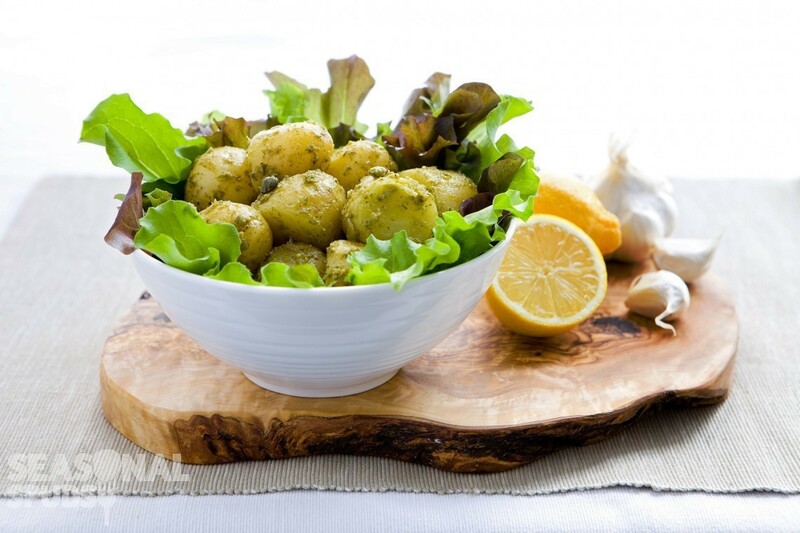 Balanced by lemon and a little vinegar it makes a fantastically tasty potato salad, which is delicious served fresh and warm as an accompaniment to a light fish or chicken dish. 1Mix all dressing ingredients together and set aside. 2Wash the potatoes and cut larger ones in half. Boil or steam potatoes in salted water for around 20 minutes (or until tender), then drain and tip them back into the pan. 3Add the dressing to the steaming hot potatoes and mix well to infuse all the flavours. Season to taste and serve warm.